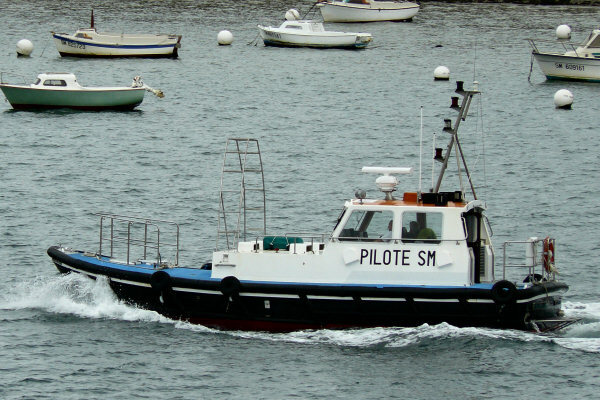 Maritime pilots of Saint Malo operate in the zone from Grand Léjon (Saint-Brieuc Bay) on the west to the longitude of Mont Dol on the east. 5 pilots and 2 pilot boats make about 1600 pilotages per year . Pilots also operate for the port of Le Guildo (12 per year) and Port Barrier (Sables d'Or: 80 per year). 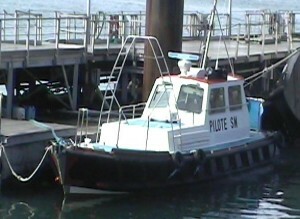 The 2 pilot boats were build from Halmatic type hulls (composite material), manufactured in Southampton, and then converted in France. The oldest, "Pilot François Marie VAYVA" has been built by the yard Labbé in Saint Malo, and the most recent one, "Emeraude" by the yard SIBERIL in Carantec. They are usualy moored at the ferry terminal of La Bourse. Thanks to the pilots of Saint-Malo for their welcome .